In my previous articles, I covered slow motion/fast motion effects and freeze frame effects in Premiere Pro CS5. The last part of the video time effects trilogy is Reverse Speed (Reverse Motion) Effects. They are just as easy to create. 1. Reverse Speed for an entire clip. With the clip on your timeline and selected, just go to Clip > Speed/Duration to apply reverse speed to the entire clip. You can also use the short cut Ctrl/Command + R. In the pop-up dialog box, you will see the check-off box for Reverse Speed. Just check it off. At the same time, you can also change the Speed of the clip to less than 100% to slow down the entire clip or higher than 100% to speed-up the entire clip. Both the video AND the audio for the clip will be reversed accordingly unless they are Unlinked. 2. 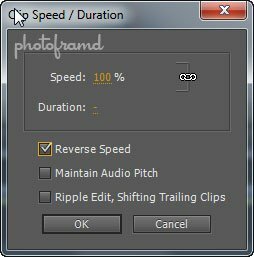 Reverse Speed by Time Remapping in the Effects Control Palette. Now Control-Click (Command-Click) on that keyframe and drag. You will see a series of arrow brackets in the space between the keyframe handles to indicate the reverse speed. Please note – the Reverse Speed will apply only to the video track, not the audio track. The audio track will remain unaffected. 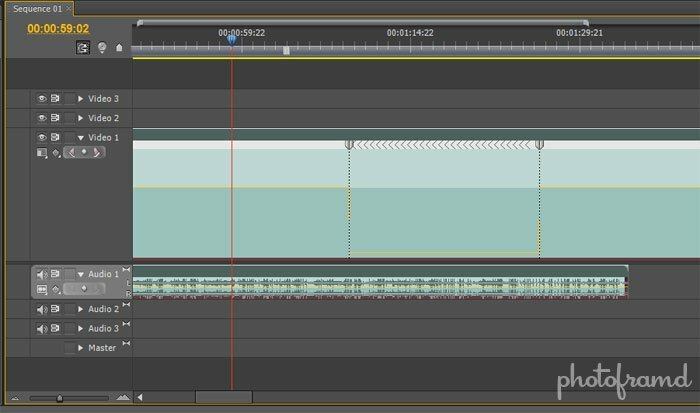 You will either need to Unlink the Audio and reverse the audio track using Speed/Duration or add in an additional (duplicate) audio loop to fill in the sound gap. 3. 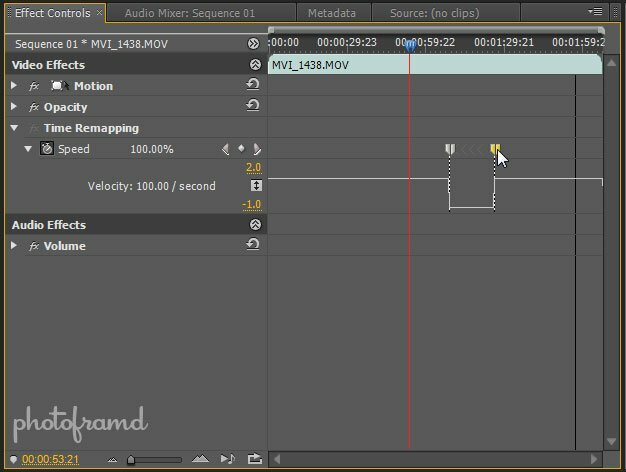 Reverse Speed by Time Remapping in the timeline. The same controls available in the Effects Control Palette are also available directly in the timeline. Here too, a reverse speed will apply only to the video track. The audio track will have a gap which you will need to fill. Reverse Speed (Reverse Motion) is another easy motion effect in Premiere Pro CS5. Reverse motion can be used to create a surreal special effect or just to catch the viewer off guard. In the correct context, it is also one of the easiest special effects to add. Sumiu a sequuencia da timeline, como faço para recuperar? Sorry. Please ask your questions in English.